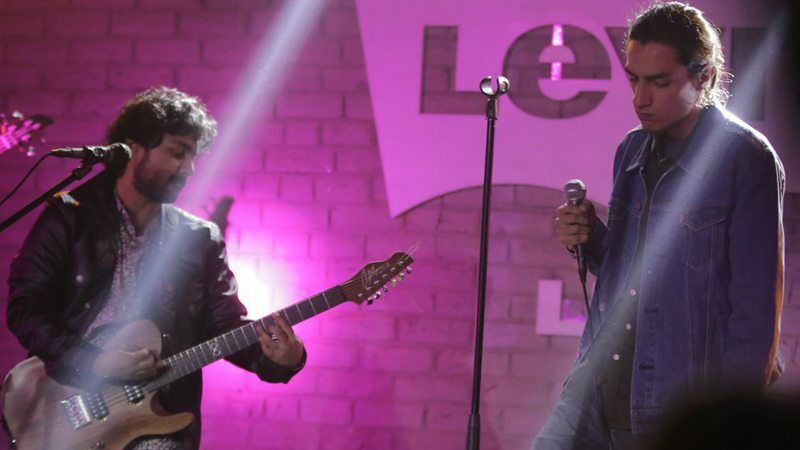 LAHORE: The platform of Levi’s Live spearheaded by renowned musician, composer and studio artist Farhad Humayun, was established and decided upon in a little room full of eminent artists, singers and award-winning musicians. The platform was built to give upcoming and underground bands and solo artists a platform to perform and connect with the audience and also to make their presence felt in a market, saturated with singers. Indeed, it is no small feat to rub shoulders with giants of the Pakistani music industry who have ventured far and wide and gained critical acclaim along the way. So basically, Levi’s Live gives such artists a stage to belt their skill and voice and engage audience through this. Not just that, but these artists are also flanked by established ones who normally take the stage later and make up for one entertaining night. 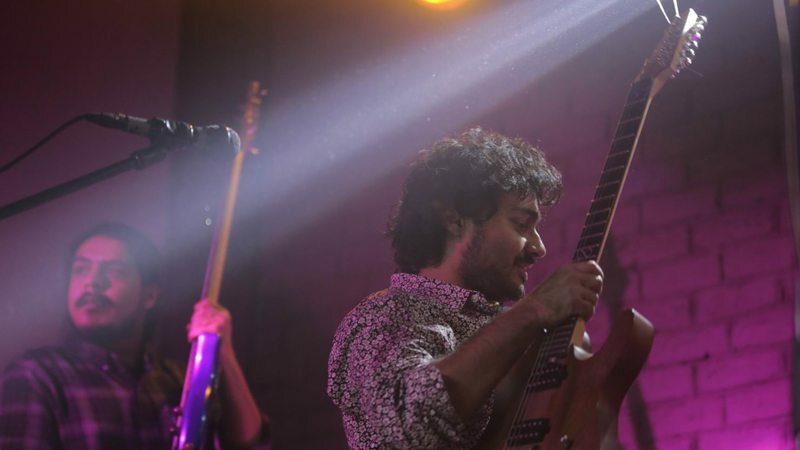 On Friday, the brains behind Levi’s Live, Uzma Rao and Farhad Humayun, arranged for underground band Keerray Makaurray and Mustafa Zahid of Roxen fame to enthral the music loving audience of Lahore. The cool and crisp night air of December ushered in eminent members of the media, socialites and music students. “Levi’s Live is a great platform for Indie artists. The excellent sound combined with the mixture of audience (ie those that come to see a pop band and prominent members of the industry) ensures that indie bands get some much-needed exposure. We’re currently in the process of finalising our album titled ‘Island In The City’ which we’re planning to release on New Years Eve,” Misbah of Keerray Makaurray said, while talking exclusively to Daily Times. The band is skilled in not just the brilliance of effortless talent in singing but also in playing drums. It’s a been a while since Mustafa Zahid has taken centre stage and gained prominence for his singing and unique talent and so Friday was the day when this happened after a hiatus of a long while. “It reminded me of the time we started when all the friends in town would gather on our gig and we would sing, dance and head bang all night long. I’m definitely doing one pure rock ‘n’ roll Roxen song now because I think all these years when I was singing more of Bollywood, I missed this sound and music,” Zahid said, also while talking exclusively to Daily Times. “Levi’s Live session 7 was a tremendous success. We had a full house that cheered and danced the night away. Keeray Makoray are super talented and performed a brilliant set. And Mustafa Zahid with his band Roxen gave us some of his hit numbers along with renditions of old classic hits. I’m so glad with the positive response and energy we have been getting until date. Kudos to Levi’s, Farhad Humayun, all the musicians, artists and attendees who make Levi’s Live a huge success. Music for the win!” Uzma Rao told us. “This is the seventh Levi’s Live performance and the response we have received is nothing less than extraordinary. With this event we’ve firmly rooted ourselves as the only live music venue & organisation in the country. And people also recognise that live music is here to stay. All thanks to Levi’s and Native Rock,” Humayun added. Keerray Makaurray, true to their character, energised the crowd with some funky groovy tracks. The band’s diverse vocal range and the poignant performance of Zahid and Roxen left the attendees spellbound. Zahid has had a string of successes under his belt since he appeared on the music scene in 2006 on both sides of the border. He has steadily built himself as a playback singer in India with his distinctive vocals and continues to perform nationwide in Pakistan. Zahid is also the bandleader and the lead vocalist of Roxen, which he formed with some of his friends in 2004. Keerray Makaurray’s debut was in 2010 and the band has been producing original music ever since. The progressive rock band comprises powerhouse vocalist Altamash Sever on vocals, Zain Pirzada on bass with Syed Misbahuddin on guitar. Yousaf and Daud Ramay are on drums, and they always deliver brilliantly. “The sound was a killer,” Zain Pirzada said. “It was a fun opportunity. Nice babes and nice buddies,” Daud Ramay said. 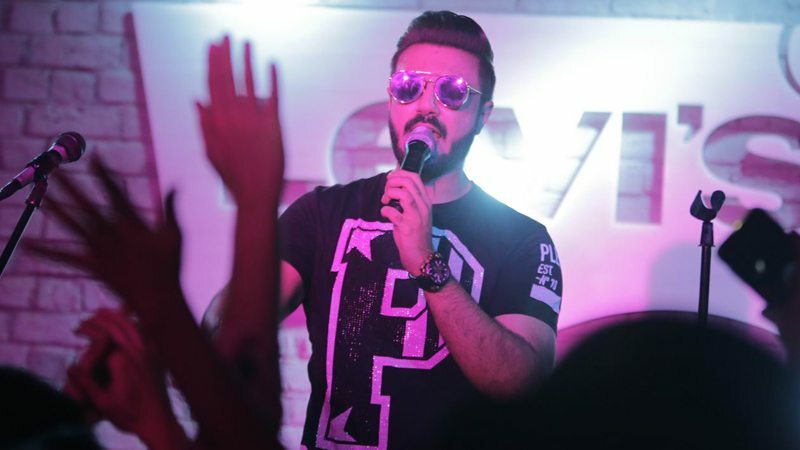 The past live sessions have featured performances by Jal, Shiraz Uppal, Uzair Jaswal, Humayun, Bilal Khan, Noori, Salman Albert and singer Farhan Saeed thus far. Published in Daily Times, December 13th 2017.